Pork Tenderloin BBQ | Packington Free Range | Born and reared outdoors. Always. Our BBQ Pork Tenderloin will show you flavours of the world with the hints of harissa and smoky paprika. 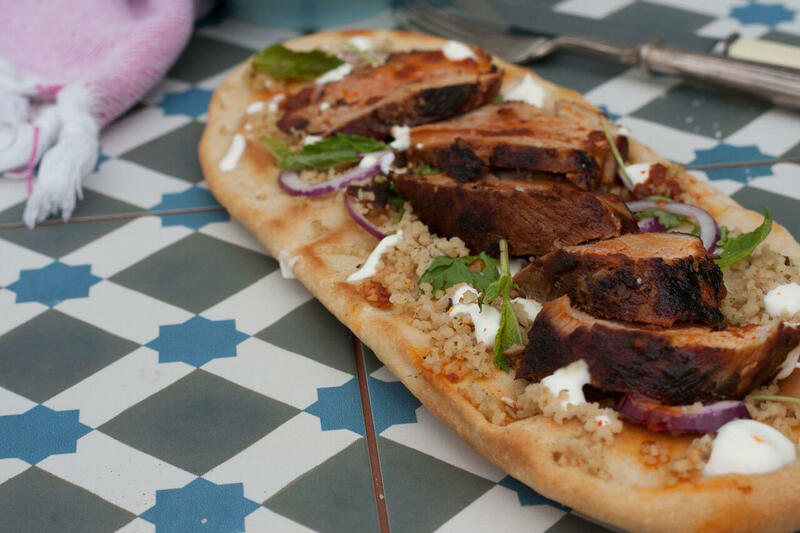 Once the meat is charred, be sure to serve on a flatbread scattered with sliced red onion then flaked with coriander for that true street food experience. Mix the olive oil, harissa paste and cumin seeds together and rub all over the pork. Once back to room temperature, cook the pork in a preheated oven at 180 for 20 minutes. Allow the pork to rest for 15 minutes.